There is no doubt that online shopping is bigger than what it used to be when it started. Nowadays, you will find most of the people buying their favorite goods and services online, rather than going it at physical stores. The best part is that you get everything on sale online. All you got to do is to switch on your computer, visit your favorite shopping site, add items in your cart, make payments and get the items delivered at the doorstep. You can do shopping, sitting in the comforts of your home or office and also at any time of the day or night. Online shopping is also known as internet shopping or web shopping. It is becoming the most popular shopping concept as it is a big time saver as well as a money saver option. The fact that online shopping is safe and secure is what is driving more and more people buy goods online. The prices of most of the goods and services sold online will be lower than what you get in a brick and a mortar store. There are many trusted and dependable online shopping sites to buy items that you want quickly and at the best prices. You do not have to face any traffic snarls, long billing counter queues and change problems when shopping online. 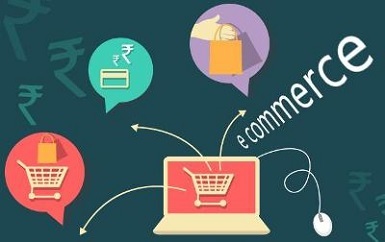 Businesses that are involved in selling goods online are also benefitting from the e-commerce marketing. They have lower overhead costs and greater customer base when compared to physical stores. They do not face any space constraints and can display a wide variety of product details online. They will be able to offer genuine products at better prices because of lower administrative costs. This way the online sellers will be able to impress more online shoppers.